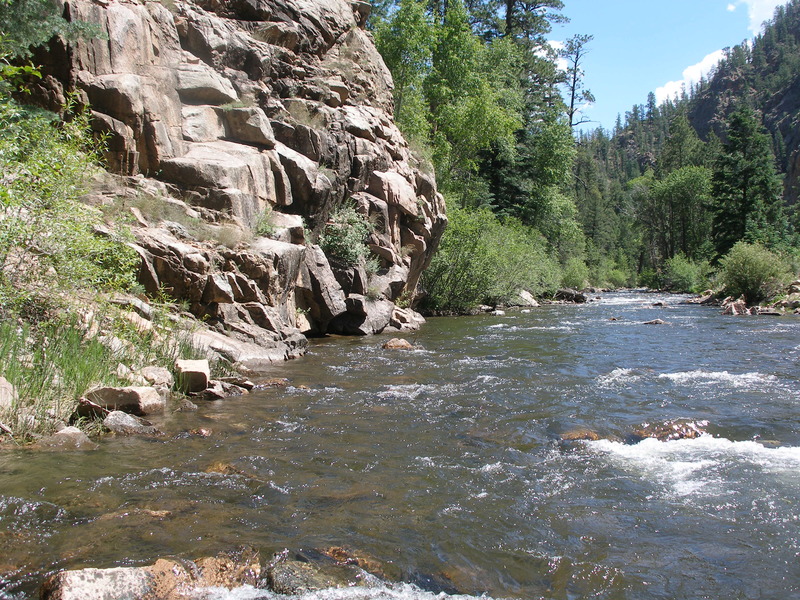 I planned to fish on the Pecos River on Sunday morning on the way back from visiting Amy in Santa Fe, and Jane planned to read while I fished from 9AM – 1PM. The plan coalesced, and we parked at the picnic area just before Windy Bridge along the Pecos River. To start my day of fishing I hiked upstream above the bridge and the masses of campers. Initially I tied on a yellow Letort hopper with a beadhead hares ear, but I was not having much luck. Fairly early I switched to a beadhead pheasant tail, and that seemed to perform better. 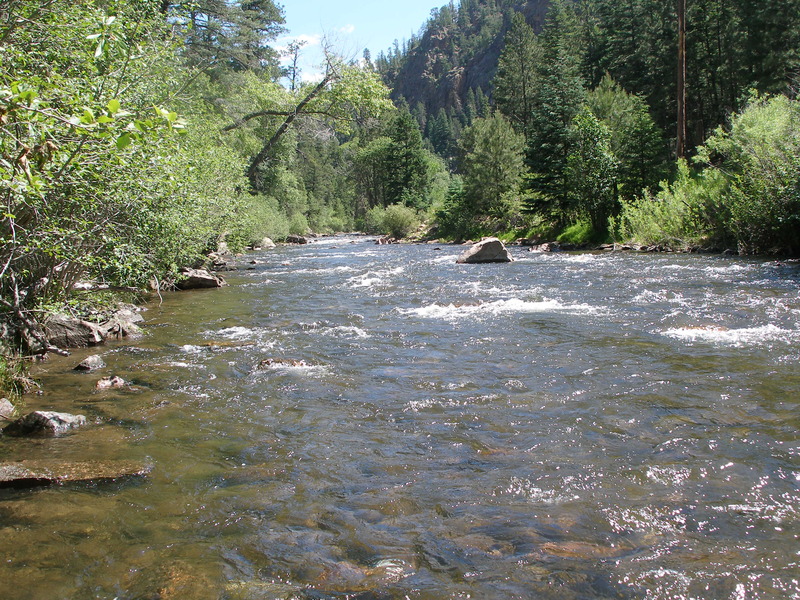 The river was ideal and crystal clear and somewhat higher than what I experienced the previous year. I prospected all the likely places and picked up trout with decent regularity. 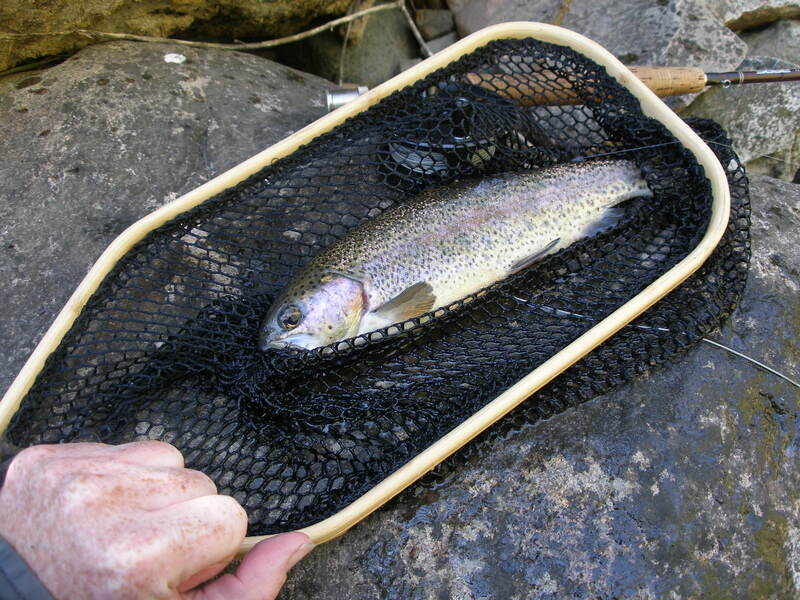 75% of the trout were rainbows, and the browns were caught mostly along the stream bank. At around noon Jane biked by, and I told her I would quit once I caught four more to reach 25. Shortly after this encounter I hit a nice pod of fish in a beautiful deep run and started catching rainbows on nearly every cast. I quit when I hit 30, and then I hiked back to the car by 12:30, where I shed my waders and packed all my gear. We began the return trip to Denver from the Windy Bridge parking area.